Several days after the attack on Israel's Embassy in Cairo, Ambassador Yitzhak Levanon says, "This is not the same Egypt." Several days after the Israeli Embassy in Cairo was attacked by an angry mob of Egyptians, who managed to break down the wall surrounding the embassy building and almost lynched six security guards, Israel’s Ambassador to Egypt spoke about the change in Egypt since the fall of President Hosni Mubarak. While Ambassador Yitzhak Levanon was not in the embassy when it was raided, he watched the events from afar and it became clear to him that today’s Egypt is not the same Egypt to which he was sent. 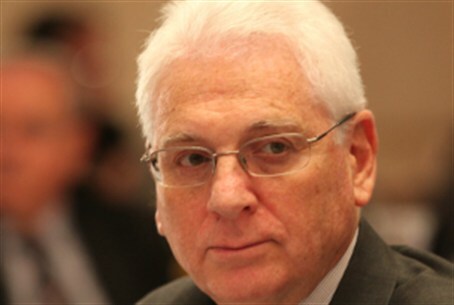 "Something has happened in Egypt, we need to understand,” Levanon told Israel’s Channel 10 News in an interview Tuesday. “This is not the same Egypt as before. Things have changed, the revolution has done something. Who would have thought that the Muslim Brotherhood would be part of political life in Egypt? " Levanon, who was airlifted from Egypt back to Israel after the incident in the embassy, recalled those moments in the Israeli Air Force helicopter when he was eagerly waiting for the six security guards to be rescued from the embassy, as only one door separated them from the angry crowd who ran amok in the corridors of the multi-story building which houses the embassy. Levanon said that the change in Egypt could be seen already from the moment the protesters managed to destroy the wall around the embassy. Levanon said the incident was not expected and Israel did not have information that such a scenario could occur. "If it had been clear to us that this could happen, we would have gotten orders from officials in Israel," he said, noting that Egypt was quick to make it clear to him that it, too, had been unprepared for such a scenario. "Before I left, one official Egyptian apologized," said Levanon, reading the text message he received from that official: "I have no words with which to apologize to you, I hope to see you soon." Levanon clarified that, despite the event, he intends to return to Egypt.